5KPlayer is one of the many media players for PC out there. But what really makes it different from others and how it perform to play 4K videos? We'll find that in this 5kplayer review, on Windows platform. Installing the software on Windows is as easy as installing any other software. You just have to download the installer exe file from the download page. Then double click over it to start the installation process, accept the licence and click on the install button. One more thing I want to add here. 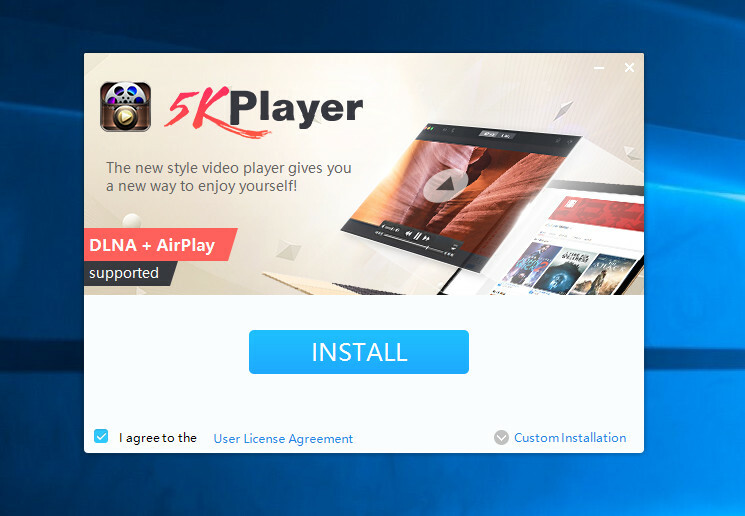 As 5Kplayer offers to download videos from various sites from internet, and supports streaming over DLNA you will be asked to allow the software to access the internet. 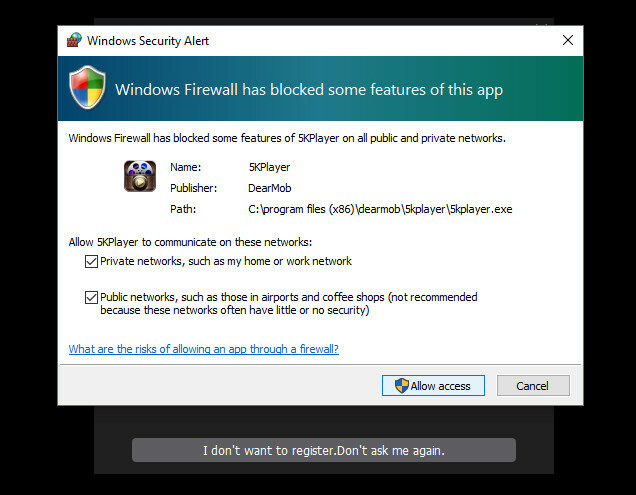 On the Windows firewall prompt, just check both private and public the options and and click allow. Truly this media player is packed with a lot of cool features. Let's discover them one by one. File format support- Like all the other media players, it supports playing videos of most formats. Including mp4, mkv, mts, m2ts, mpg, mpeg, mov, webm, and others. Playback support- Flawlessly plays videos up to 4K UHD resolution. HEVC codec and HDR support. Video codec support - Supports all the mainstream video codecs including h.264, h.265(HEVC), VP8, VP9, VP10, mpeg and others. Audio codec support - Again, supports all the mainstream audio codec, including WAV, mp3, FLAC, AC3, AAC, WMA, mpeg2, mp4, and many others. Network playback- Seamless DLNA and AirPlay support. Youtube mp3 download- It can directly downloading mp3 files any YouTube URL. online radio player - You can play many online radio stations through 5kplayer. Video downloading- Once you've registered a free account, you can download videos from around 300 different websites. Hardware accelerated video decode- On windows, it supports accelerated video decoding with the help of GPU. Significantly reduces the load on CPU while playing 4K videos. After installation process is complete, you could launch the 5Kplayer from the shortcut created on the desktop. Or alternatively use the windows app launcher to start the media player. Now the main part of the review process. I will break it down into few more sub sections to make review bit easier to read. This is the most crucial part of any media player review. While testing, I downloaded 1080p and 4K UHD sample videos from http://jell.yfish.us/. These are freely available sample videos for bit rate and video decoder testing. A note before testing, as my laptops intel HD graphics 3000 supports only H.264 decoding via the GPU, so I used only H.264 encoded videos. All the H.264 encoded 1080P full HD videos played without any lag or shattering, bit rate was up to 110 Mbps. But the H.264 encoded 4K UHD videos are lagging if the hardware acceleration was enabled. As my laptop Intel HD 3000 GPU doesn't supports h.265 HEVC codec, so I was unable to test HEVC coded videos with hardware acceleration enabled. I was most curious about this feature. Though there's no log file to individually check what's going on background, it seems to hardware accelerated video decoding works pretty well for videos up to 1080p. There's three different type of video acceleration, for NVIDIA GPU, probably it's VDPAU. QSV and DXVA2 for intel GPUs. 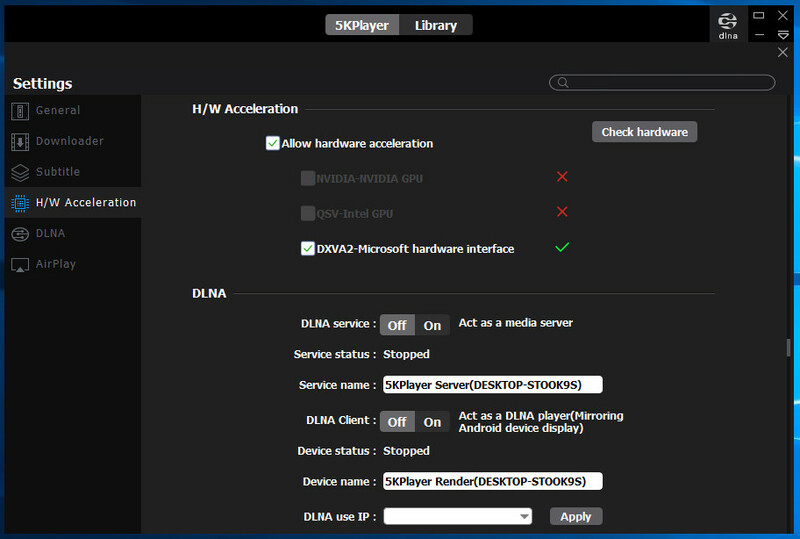 The DXVA2 is hardware acceleration implementation with the direct X from Microsoft. Which just worked for me. You can check if the hardware acceleration is enabled, the CPU usage drops significantly while playing a high resolution video. The inbuilt video downloader can download videos from many popular online video sharing sites like Yourube, and Vimeo. However you need to register yourself before fully taking advantage of this feature. The default download format mp4 video in 180p resolution. You can change the options from the settings menu. For testing, I pasted a link from youtube, and pressed the blue colored analyze button then voila! It automatically recognized the video name and downloading was just one click way. Either you can copy paste the favorite radio URL, or there's a list of preset online radio stations like BBC and NBC or CSB sports. This feature also worked as expected, I used some stations from last.fm for testing. Well, that's all for this review. In my opinion, it's a pretty good video player with nifty features. Both AirPlay and DLNA client and server feature is pretty cool. You can extend your video playback to a large screen easily with these features. Or share the videos and other media content through DLNA. You can get all those functionalities individually with many other software, but it combines all the nifty tools in one place. So, it definitely deserves a try. Also don't forget to check out the official website of 5Kplayer.